As viewership and content continues to grow here, we wanted to take this moment to welcome Sarah James to the robotGEEK'S Cult Cinema team as one of our newest contributors. Today she brings us a great review on the Lucio Fulci cult classic Murder-Rock: Dancing Death! If this review doesn't convince you to watch it, we don't know what will!? Have you always really liked the movie Flashdance, but you’re bummed because there just isn’t enough (any) killing in it? Have you always really liked Lucio Fulci films, but there just isn’t enough dancing in them for your liking? Yes? Then Murder-Rock is for you. Leotards; leg warmers; giallo films; Fulci; infectious 80’s dance music; dance routines that look like they’re a combination of Flashdance, Showgirls, and the creepy cheer from Bring It On; bait & switch…& switch & switch. 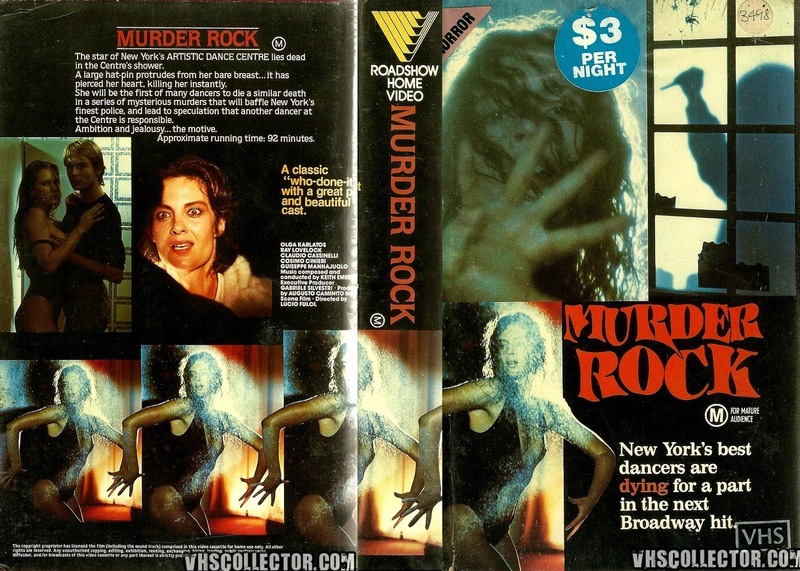 Murder-Rock is has it all! Fulci starts us off with an amazing soundtrack by Keith Emerson. We jump right into some dancing throughout the opening credits. The dancers appear to be a group of b-boys breakdancing in…perhaps an empty roller rink? It doesn’t really matter, because we never come back to those dancers or that location again. Immediately thereafter, we are led into a New York dance academy where several young women with big hair are performing in leotards and leg warmers. This scene is everything is I wanted my life to be in the 80s (and to this day). The extended, almost uncomfortably long choreographed dance scene gives us the heart of our cast. Our dance students are giving it their all. There seems to be an usual amount of hip thrusting for such a prestigious dance academy. I love it. The routine ends with the director of the academy saying, “It needs perfecting.” No, Candice, it doesn’t. Candice, our dance director, seems to be trying a little harder to find the killer. In a dream, Candice is pursued by a murderous, studly-looking model wielding a hatpin, which happens to be the killer’s weapon of choice. After spotting the same man on a billboard while driving around town, Candice tracks the man down, breaks into his apartment, and not long thereafter begins dating him. Obviously. I’ll let you guess which switch this is in the “bait & switch & switch & switch”. Ultimately, the killer is revealed. Those who like to try to figure out the movie before it ends likely won’t be surprised. Those who love to get lost in the story and not try to play detective will be satisfied with the reveal. 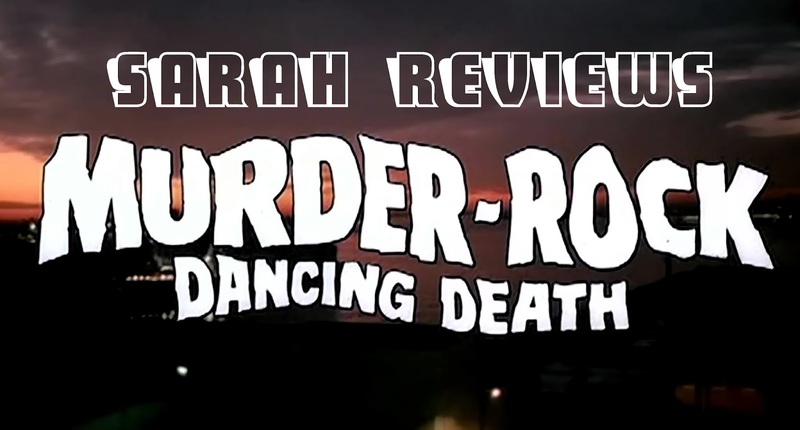 Murder-Rock: Dancing Death came onto my radar while looking to find every horror film that Geretta Geretta is in. While Geretta doesn’t get as much screen time as I’d like, she’s great in this movie. As far as vibe, I’d compare it to Night School - another gritty, set in New York giallo. Despite the leotards and jazz hands, this movie plays it straight. That being said, the leotards and jazz hands also make it a perfect movie to triple feature with campy films Death Spa and Killer Workout. Have another amazing 80s dancing death movie suggestion? Comment and let me know. I want to see them all!